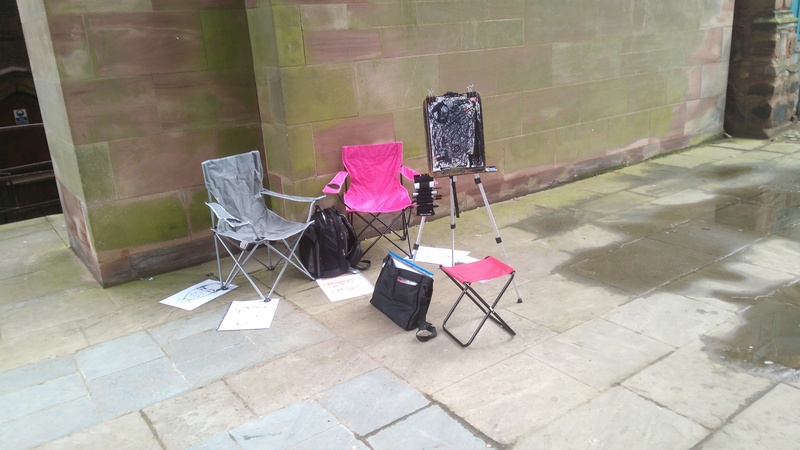 Hola Hello and thank you for checking out a caricatures update, which is a little different, in which I was booked as part of a marriage proposal in Coventry, outside Coventry Cathedral on Saturday 28/04/2018. 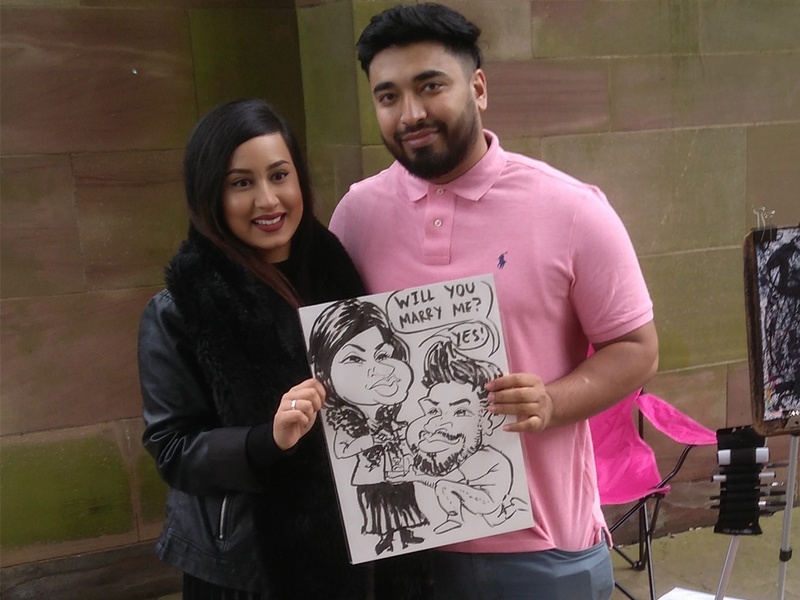 Juned wanted to propose to his girlfriend in a unique way and hired me to set up outside the University of Coventry and Coventry Cathedral and pretend to be drawing caricatures for the general public. While I waited for them to “conveniently walk by” a nice lady who works at the Cathedral, opening it for a classical concert night, dropped by to enquire what I was doing and I thought I’d give her a freebie to help me look legit should Juned, his girlfriend and her sister walk by. I forgot to ask her name but thank you for your company and helping me look legit. Then Juned and company arrived and the drawing began. Congratulations to the happy couple. 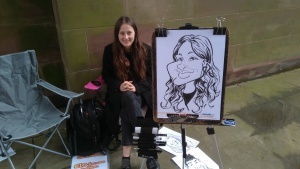 Remember – I draw caricatures at weddings as well to entertain your wedding guests. If you are looking for a fun marriage proposal or entertainment for your wedding then please drop me a line. If you have never been to Coventry Cathedral I’d suggest you visit. It’s an impressive building which is next to the old cathedral remains.